We’re sitting down with Duncan Fenech, the president of the The Bubble NGO – the organisation setting up this year’s Festival of Love in the beautiful countryside of the Maltese Islands. We’ve prepared some questions to get an idea about what to expect at this year’s festival. What was the inspiration behind The Bubble Festival? The main idea behind The Bubble is one of awareness. The bubble represents the sphere of our being, essentially our life. Appreciating and loving it and also bursting that bubble, pushing our horizons beyond our day to day, past the usual routine. The festival sets out to create an atmosphere of learning, co-creation, fun, relaxation, charity, sharing of new ideas and awakenings to what’s going on outside your Bubble as well as inside it! Why is it a Festival of Love this year? The Bubble is a festival of many things, so each year we have a different theme or subject so to speak. Last year it was a festival of music and expression which it most certainly is, and this year it is a festival of love. Predominantly a festival of awareness with nothing but good intention, we decided that for the concept to work in its truest form, all profits made from the festival should be donated to good causes. 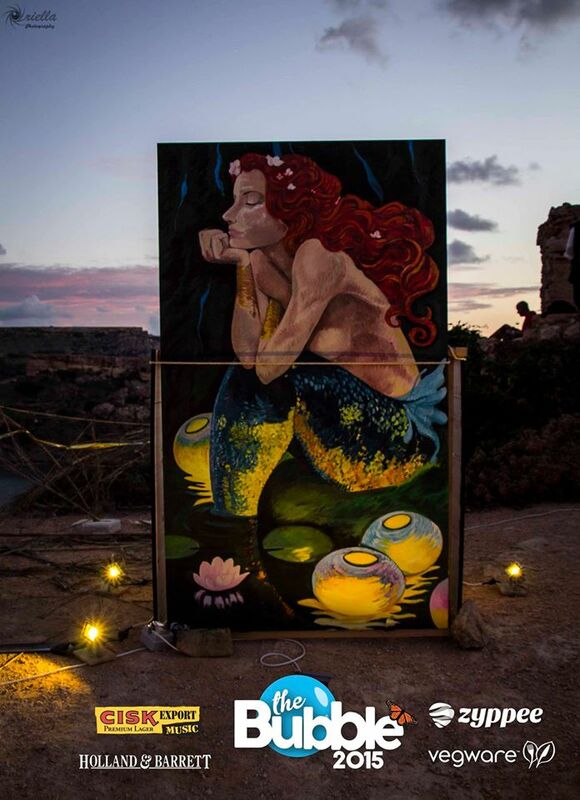 The festival is being held in one of the most beautiful spots on the Maltese Islands, can you tell us a bit more about the location? The festival is located bang in between two of the most beautiful beaches in malta, probably two of the finest beaches in europe even. Just above the cliffs by the Ghajn Tuffieha tower, between Riviera and Golden bay. It stretches from the the riviera carpark all the way round the coast past the peace grove, past the tower, all the way to the Elysium tree nursery on the Gaia Foundation premises. What kind of musical genres can we expect to listen to this year? There is something for everyone this year. Rock the Bubble on Friday at the Far Out Stage and live new world/ethnic music bands on the Pine Stage. On Saturday we will have a mix of live swing, jazz, electro-swing, funk, disco, psy & more. Sunday will hit you with live jazz, new world music & reggae which will be hosted by Juuls. All throughout the weekend, The Burst area by the tower will emit live relaxing and heartfelt acoustic sounds intended to soothe the soul while enjoying the majestic views, great food & drinks. Obviously music is not the only thing on the menu, art in all shapes and forms has been celebrated and showcased in previous years. Can you give us a sneak peak into what kinds of art will be on show? Art in all shapes and forms is very much happening at this years festival. We are going to have a mix of music, painting, structures made from recycled materials, dance, live photography, UV body art, light painting shows and much more to be confirmed. People can not only witness the art at The Bubble but will also have to opportunity to take part and interact with the installations taking place. I don’t want to reveal too much for now as it is still early days but we will have a lot more to announce in the coming weeks and are also still accepting proposals and ideas from keen artists. Please email us on info@thebubble.com.mt if you are interested. The event is aimed at people of all ages, what kind of activities have you got planned for both young and old? Activities are planned for everyone from the age of 3 years old upwards. Workshops on music and art for kids & adults alike, nature walks/tours guided by people that know the maltese countryside very well, explaining which plants are edible & their uses, lifestyle workshops, dance workshops, yoga of all sorts, the list is endless. I would suggest you just come early and check them all out. In the meantime stay tuned to The Bubble page and website thebubble.com.mt to keep informed on all the fun and exciting sub-events coming our way. On the Sunday from 11.30am to 6.30pm the Far Out stage will be kids heaven packed with workshops, games & last but not least the bouncy castle! Fundraising is at the core of the Festival of Love, with 100% of the proceeds going to good causes. What causes are being championed this year? This year 50% of the proceeds will go to ‘Garden of Smiles’, a women empowerment project by the Right to Smile foundation, aiming to give women in India and Kenya access to opportunities by exploring their creative potential and narrowing gender gaps in their education system. 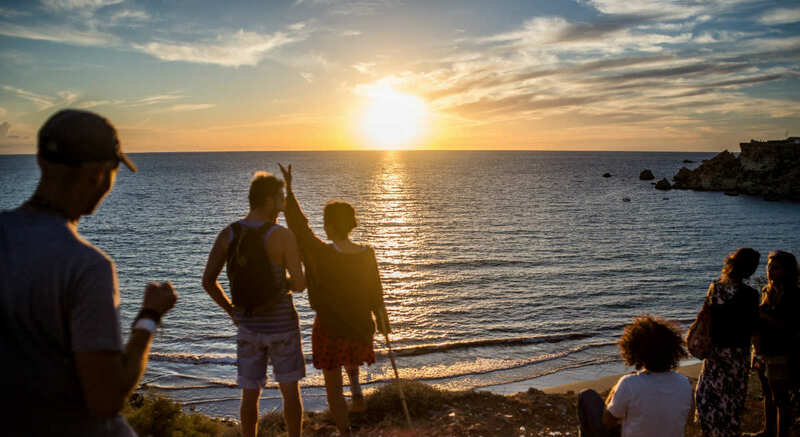 20% will go to The Gaia Foundation for integrated coastal zone management on the Maltese Islands and who also provide us with the beautiful festival location, 15% to Why Not? for a new platform where more educational workshops & events will take place. Each year 15% goes back into The Bubble NGO to set up next year’s bubbly festival! The Festival has a number of areas to keep festival goers entertained, can you give us an outline of the different areas? What was your favourite memory from previous festivals? So many I wouldn’t know where to start, but one memory in particular that struck me and so many other people has got be last year at The Bubble 2015. We were all gathered by The Tower, some of us on the tower & some next to it, to witness sunset, moonrise and a solar eclipse all in the span of 40 minutes. As the sun was setting the moon was rising & the eclipse took place, leaving everyone in massive awe of the beauty of creation. Anything I could say to describe this experience would be an understatement! Describe The Festival of Love in 3 words. So there you have it, the low down on what is looking to be a fun filled festival. If you’re interested in attending, purchase your tickets here and check out the Facebook Event for updates!